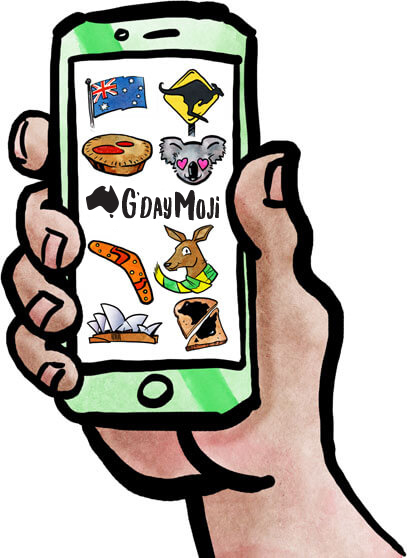 G'dayMoji is Australia’s own set of hand-illustrated emojis! 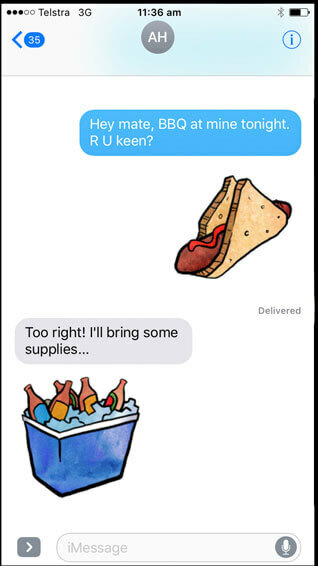 Express yourself like a true blue Aussie by sending an emoji sticker of a lovestruck koala, a sausage sanga, an esky full of beer, or many more icons that translate the Australian lifestyle into the language of emoji. 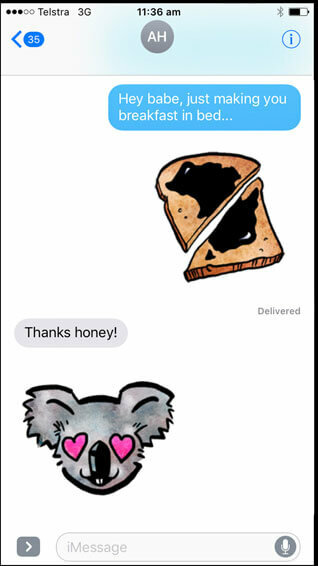 Send an icon directly from the G'dayMoji app, or use the custom G'dayMoji keyboard while you’re messaging. 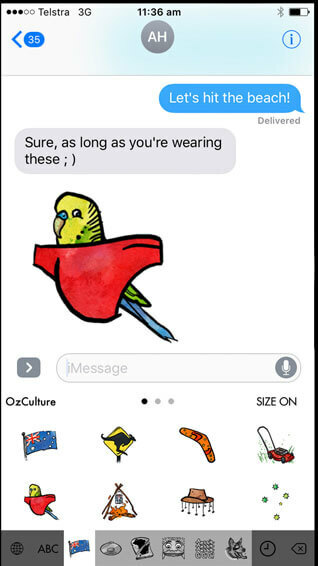 G'dayMojis can be used in all apps that support the copying and pasting of images and you can adjust the emoji size before sending. 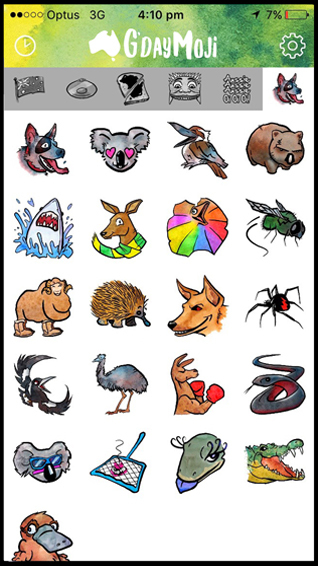 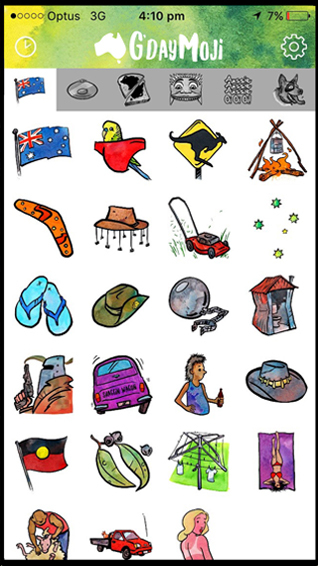 The 96 custom emojis developed in country NSW include six categories: Culture, Sport, Food+Drink, AroundOz, Lingo and Animals.